Bad weather and unusual temperature gave a negative impact on the domestic consumption. The sales momentum for daily necessities was quite strong. Tax-free sales made by foreign tourists grew rapidly. Cosmetics and pharmaceutical products were popular items. 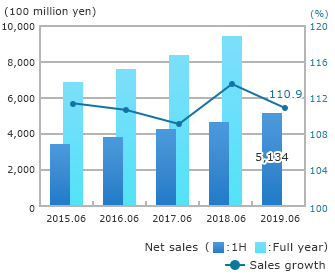 Sales stood at 513 billion yen (up 10.9% yoy). Though the topline growth was mild, gross margin went up because of our right pricing strategy. We aggressively made up-front investment including 14 new stores. 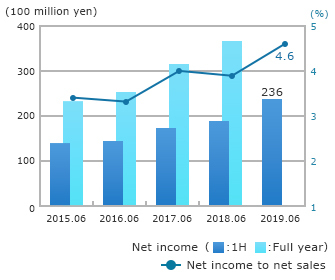 1H operating income was 30 billion yen, up 2.6% yoy, it hit an all-time high for 1H. Net increase of extraordinary profit was 5.3 billion yen. It was mainly due to the increase in interest income as well as equity income which offset the increase in bond issuance cost. 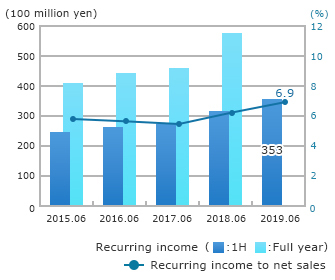 Ordinary income increased significantly to 35.3 billion yen, which was up 13.8%. 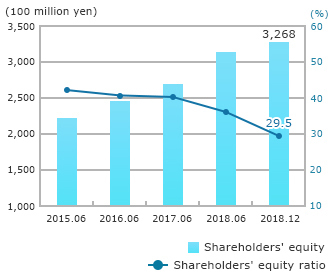 Profit attributable to owners of parent stood at 23.6 billion yen which increased 26.4% and renew the 1H profit record. It was mainly because 3.5 billion yen of income before income taxes, 10.4 billion yen of corporate tax payment. 1H profit hit an all-time high. Strong profit growth made EPS at 149.27 yen (up 31.19 yen, +26.4％). Total assets were 1 trillion 39 billion 900 milion yen, which increased 233 billion yen yoy. 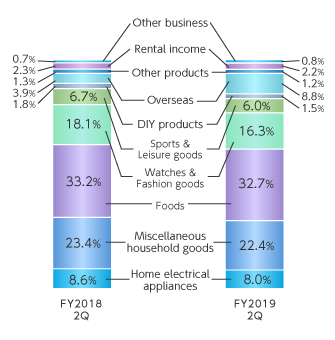 Major reasons are as follows; Inventory increased 17.4 billion yen due to aggressive new store openings. 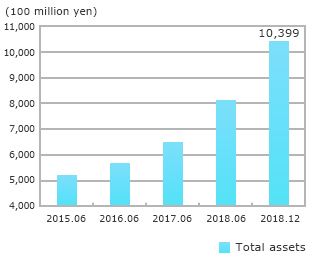 Tangible fixed assets were 17.8 billion yen including land and property. Net assets were 326.8 billion yen, which increased 14.3 billion yen yoy due to accumulated profit. Equity ratio is 29.5% (41.1% under the credit rating criteria). 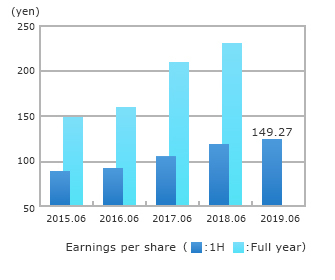 Net debt equity ratio is 0.83 times (0.60 times under the credit rating criteria) because of the debt financing for the consolidation of UNY Co., Ltd. There were 13 domestic new store openings (7 Don Quijote format, 3 New MEGA, 2 Picasso, 1 Jonetsu Syokunin). 1 new store was opened in California. 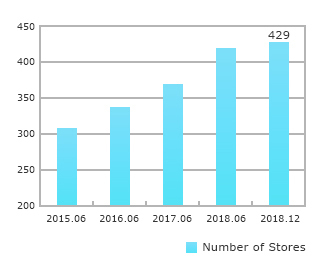 Group total store-count is 429 (389 domestic, 40 overseas).